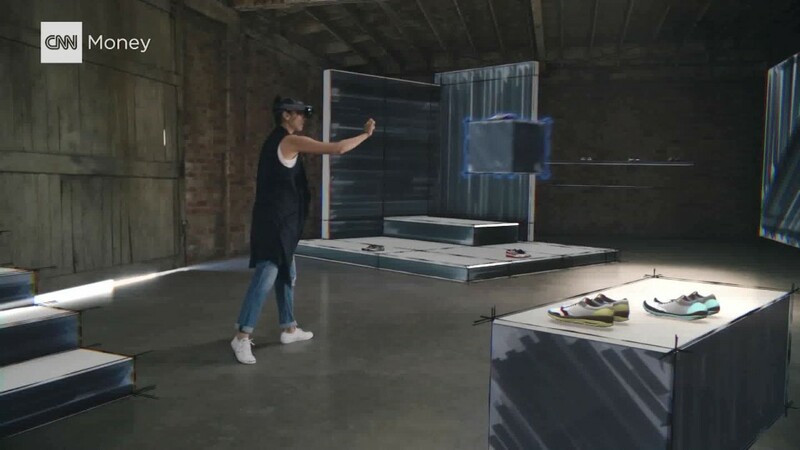 "Windows Holographic is coming to devices of all shapes and sizes from fully immersive virtual reality to fully untethered holographic computing," Terry Myerson, head of Windows and devices, said in a statement. "[We're looking ahead] to the future of computing, where the physical and virtual worlds intersect in all new ways, and create further scale for the Windows platform." Microsoft first said it intended to incorporate augmented and mixed reality computing into its software in January 2015. That's also when it showed off its HoloLens, a headset equipped with a holographic processing chip that can understand and respond to users' movements. Although VR and AR have yet to take off, analysts estimate that millions of these devices will be available in the next few years. And given that telepresence -- live-like video calls -- is expected to be one of the benefits of the technology, device compatibility will be crucial to success. Here's the scenario Microsoft portrays: You might be working on a project in Germany while your coworkers are in New York. But with VR and AR, everyone can project themselves into the same digital space. In order for that scenario to exist, the devices have to be able to talk to each other. It won't matter that one person is wearing a HoloLens, for example, or that someone else is wearing an Oculus headset or the HTC Vive. Windows Holographic devices and applications will be able to take data from each of the devices and render them together. Forrester Research estimates that corporations' demand for VR headsets will reach 17 million within four years. In total, Forrester forecasts demand to reach about 38 million devices. Microsoft cites research that says the number is closer to 80 million. Microsoft will likely get a cut of Windows Holographic device sales. With PC sales on the decline, and Windows sales suffering along with it, Microsoft (MSFT) needs to make this bet on the future of computing. Microsoft's usual cadre of partners -- Intel, Lenovo, Dell, Acer, HTC, ASUS -- have already signed on to use Windows Holographic.